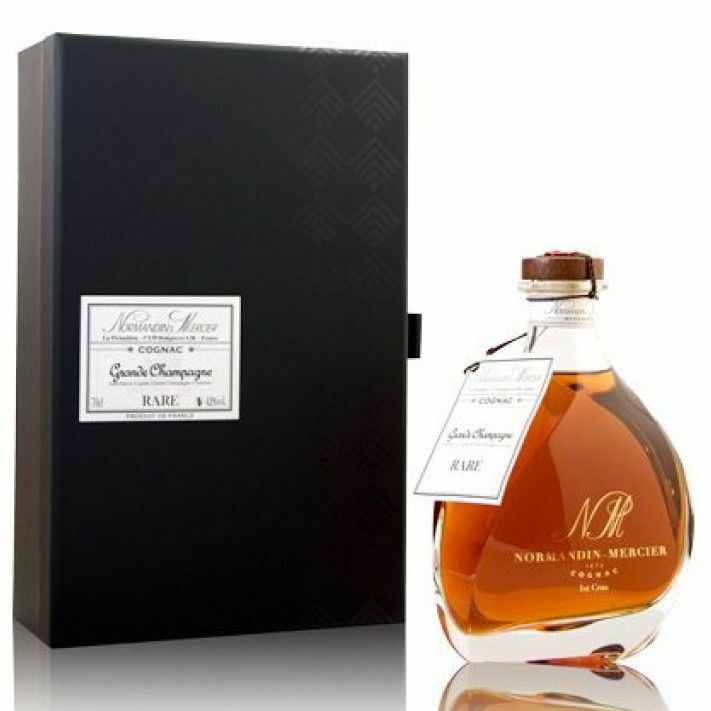 The Normandin Mercier Grande Champagne Rare Cognac has had a revamp. With a beautiful new decanter and presentation box, it becomes an even more desirable Cognac to own. As it's name suggests, it's been created solely from eaux-de-vie from the premier cru of the Cognac region, Grande Champagne. Ths Cognac is of hors d'age quality, and is slightly over-proof at 42%. As one would expect from such a well-aged Cognac, it's seductively dark on the eye. The precious liquid boasts the wonderful notes of ranico that only occurs after many years aging in oak barrels. This is a Cognac that delights on all levels; The decanter presentation is simple and classic, and if you've not yet discovered the delights of the house of Normandin Mercier, then the very first sip is sure to turn you into a fan. Elegant and classic, this Cognac will appeal to anyone who loves the finer things in life.